September 1995 found us here. 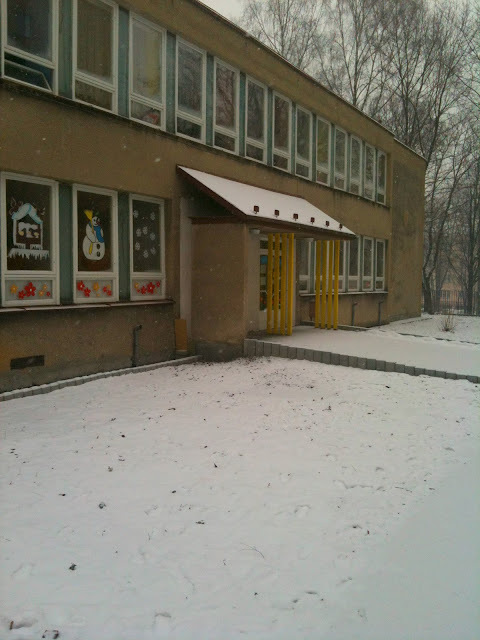 This was the first Czech school that Tyler started in...a "školka", (kindergarten) in Havirov. I remember going up to his classroom, first entering in through the šatna (changing room) where kids changed into their play clothes and house shoes, excited and nervous about entering into this whole new world of "school"! 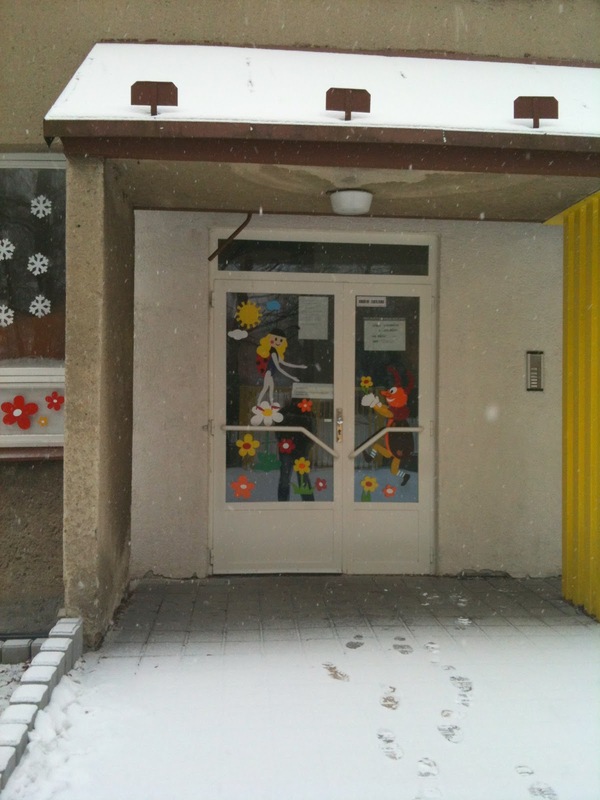 We spent five years at this školka, as Tyler, Caleb and Claire all went there. That little changing room became very familiar to me, as did this building. Note the old cars back then! Fast forward to today. 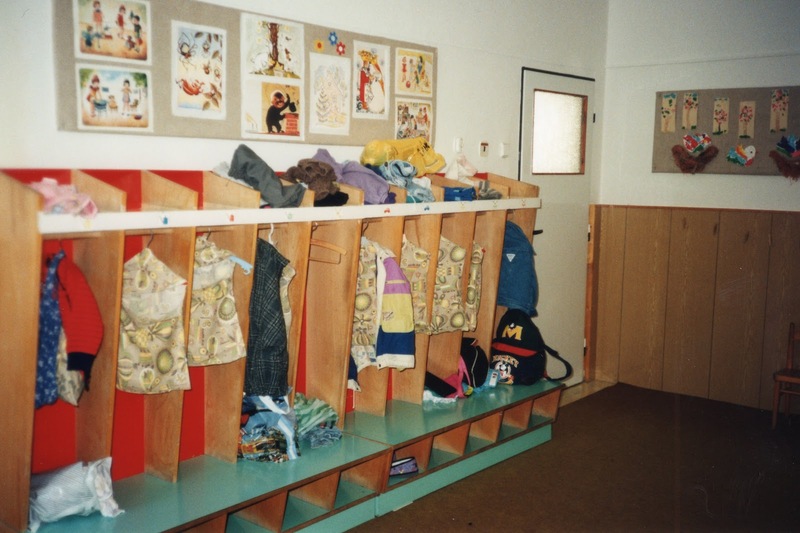 It's been twelve years since I've been inside that školka, which is kind of funny because I remember having feelings of "Will we ever move on from here??" 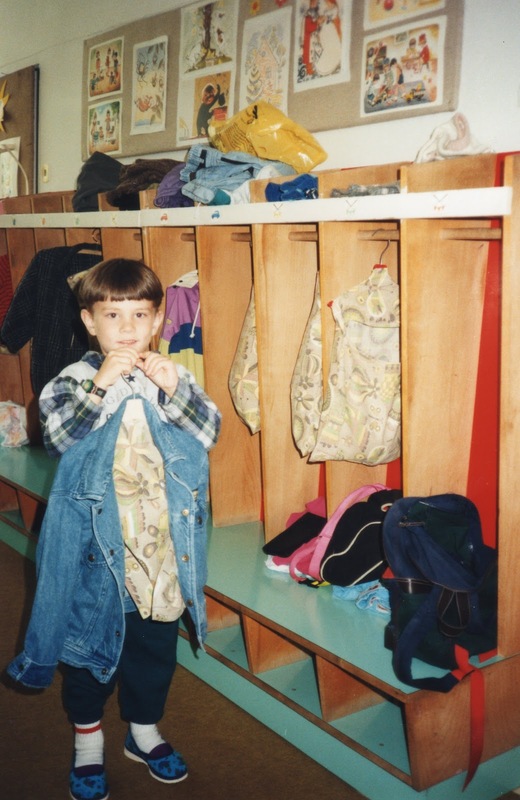 all those years ago! 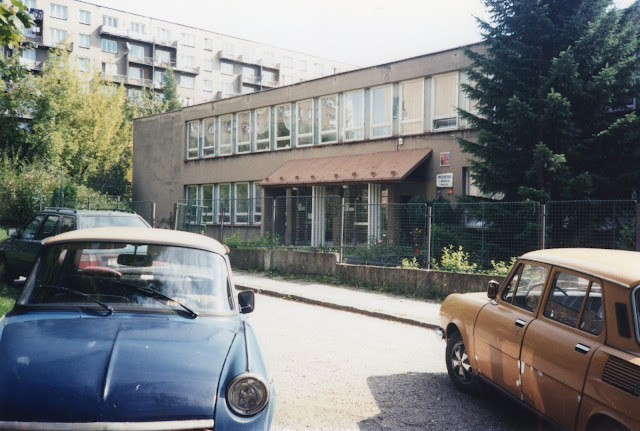 We did move on, but the školka remained - this is what it still looks like today! It really hasn't changed a whole lot in twelve years. 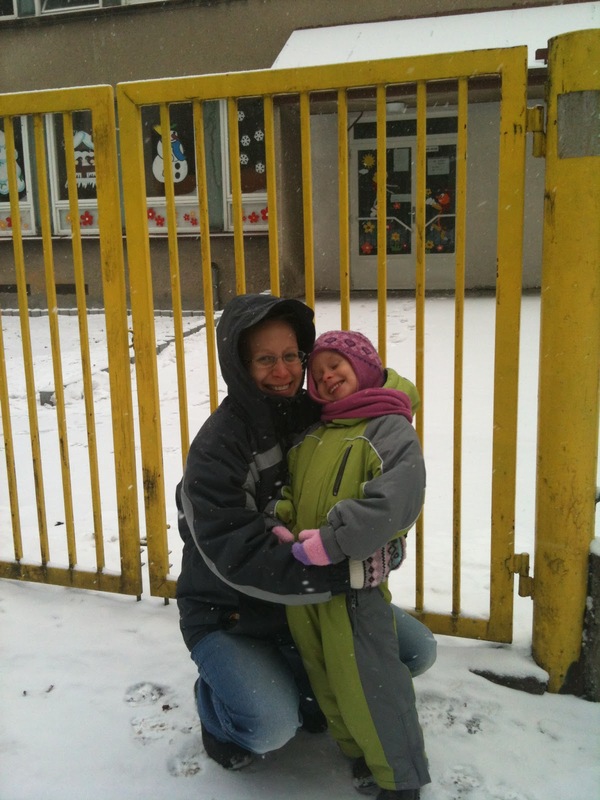 I went with my friend, Barča, a Wycliffe missionary home from Indonesia on furlough, to pick up her daughter who now goes there. 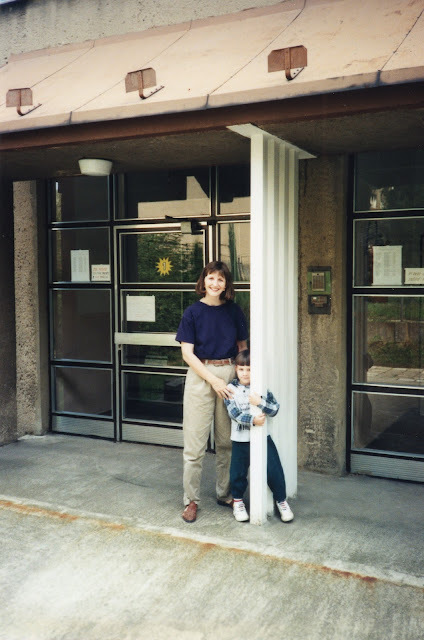 I feel fairly certain that at least once sometime between twelve to seventeen years ago, she either picked up, or was at least with me, to pick up one of our kids back then - we've known her that long! But now she's there, in that same šatna, with her four year old daughter, going through the same motions that I did all those years ago. It was so sweet to be there with them today, and remember the beginnings of our kids' journey in Czech schools. Hard to believe we're just one and a half years away from being all done with it!